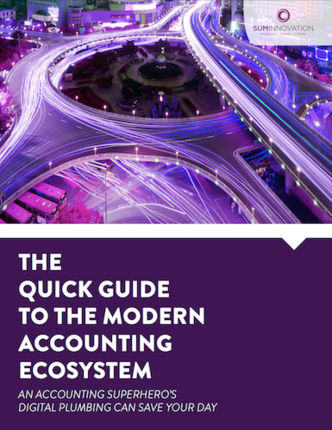 In the ever-evolving accounting ecosystem, accountants must keep up with the latest trends and technology if they hope to stay relevant and keep their companies out of the red. You might even say that accountants are like Batman — always updating their crime-fighting gadgets to beat out the bad guys. At SUM Innovation, we know exactly which tools are must-haves. We’re excited to share this whitepaper to help you understand what a CEO superhero does, so you can enter the accounting ecosystem and find your own. Download the entire guide, here.